David Graham Scott – Documentary filmmaker, photographer and commentator on social issues & the arts. 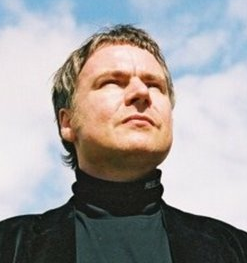 David Graham Scott is a controversial documentary filmmaker from the Scottish Highlands. His highly authored films are unique visions of the world he inhabits and the offbeat characters he encounters. He has experience in directing, pitching new ideas, researching and camera operation. He is also a trained film archivist and a university graduate in Film Theory/Art History. David has worked on hard-hitting projects including The End of the Game, Detox or Die and Iboga Nights. His films have aired across the BBC at both local (BBC Scotland) and national (network) level and gained numerous awards over the years. Here you can find links to David’s professional work and ways to connect with him. DEAR MR GRAHAM,IM CURRENTLY A MORPHINE ADDICT,I HAVE BEEN FOR 7YRS,IM 25 AND STARTED TAKING MORPHINE AS AWAY TO GET OFF HEROIN AND METHADONE,I BUY 20 MST SLOW RELEASE MORPHINE OFF A M8,I STOPPED THE HEROIN BECAUSE IT JUST GOT TO MUCH HASSLE AND RISK PLUS I WORK ALOT,WHEN I WENT TO METHADONE IT WAS JUST AS BAD IF NOT WORSE AS I WAS ASKED TO TO CHEMIST EACH DAY AND BECAUSE I WORKED DIFFRENT PLACES ALLOVER CUMBRIA AND SCOTLAND IT WAS IMPOSSIBLE TO NO WHERE I WAS GOING TO BE,ALSO NOW WHEN YOU START A COURSE THEY DONT GIVE YOU THE WEEK SURPLY,ANYWAY IM GLAD TO BE OFF IT.IM ON 2 TABLETS 60MG MST WHICH DOESNT DO ANYTHING FOR ME AND IS JUST A BURDEN,I AM DESPERATE TO COME OFF.I WATCHED YOUR BRILLIANT DOCU,AND WOULD LOVE TO TRY THAT MYSELF,ALSO I WOULD LIKE ANY INFOMATION YOU COULD SURGEST,AS YOU HAVE BEEN THROUGH AND NO WHAT ITS LIKE TO BE AN ADDICT,PLEASE TAKE THE TIME AND IF COULD EMAIL ME WITH SOME ADVICE.CHEERS WARREN. Would love to find some more information regarding detox or die film please. There’s a follow up called Iboga Nights now. Google search for it. I recently watched your Heroin Story documentary and I was wondering if you would interested in doing a documentary about mental health problems which affect everyday people, myself included. I have tried so many ways to get help but there isn’t really any out there despite what the NHS and certain websites say. I just think if someone real (not a Stephen Fry type) was to bring this issue to the fore that might help so many who are in despriate need. I have been suffering for 11 years since I was 14 and all I get from the doctors and GPs is I have depression which I know from my own research that it is more complex than “just depression”…..anyway please let me know if this something you are interested in, and we can talk further. My name is Tony from North Carolina USA, I desperately need your help. I have tried everything and have begged people for help including Eric Taub. Please email me when you can, losspreventionpro@gmail.com. Sorry for not replying but I’ve only just started checking this site after a few years. Are you ok now? I really like this blog! Great being able to relate to other film makers! Do check out mine if you have the time.. I have only just created it though so content is limited, Keep it going! Bless you, David – just came across your magnificent foray into wanting so desperately to leave ‘your twilight zone’ – and your poetic homage to your Ma – YOU have ‘reached’ me and lit my abyss of hopelessness – again – and with such tenderness – your eyes – most particularly without opiates – are literally candles of clarity and beauty. The issue with ibogaine in the UK now is that it’s illegal I’m afraid. The Psychoactives Act has ended all that. Find me on Facebook if you want to chat more. Sorry again for late reply. I love the blog but you need to keep it going! Re the heroin use….yes, I know the struggles well and I know that the real issue isn’t the drug use but the pre-existing mental health issues you no doubt had anyway. Try and get me on Facebook. Link is on my page!! sorry David not very computer literate my name is Colette im 42 and live in Edinburgh .Im really glad you overcame your addiction and thought your documentary was really interesting, I wondered if you ever watched a documentary about a coloured guy called Larne that was trying the same thing and ended up being a herion addict . Yes, I recall that documentary with Lanre the photographer. It was called Don’t Get High on Your own supply! amazing doc. Loved your courage and watching you overcome. Truly beautiful. So sorry for late reply. I’ve only just started using my blog again. The town is actually called Wick but the locals pronounce it Weik. Wick folk are called Wickers…hence Wicker Men!! It’s very old stuff from when I was at school! Please forgive me for writing out of the blue, but I believe that you made a film with a mutual friend, Guy Wallace, on a big game hunt in Africa? I knew Guy, his Russian wife and their delightful daughter, when they lived above the Blaenavon Railway shop. I used to.live in a chapel in nearby Abersychan, but left to.live in Spain nine years ago. I am back temporarily looking after my elderly Father, but I wondered if you are still in tou h with Guy, and if you could pass on.my regards to him? Also, whether it might e possible to drop by Blaenavon one day to see them? If you would be kind enough to.pass on.my Father’s number- 01252 266293, or my e mail, hill705@gmail.com, it would be good to find out how they all are. sorry for the delay in getting in touch but I don’t use this site much. By coincidence Guy has just left Caithness and has gone to Spain to retire. I believe he’s near Seville. I don’t know if he has a working phone there but you should be able to get him on that if he’s got the internet running. I sent him an email with your details too.